What a beautiful fabric bundle. Thanks for the chance to win. Aww, I saw that you were invited to still attend the give away event~ Every one is so generous in the quilty world! Thank you for allowing me to participate~ I am making an attempt to start a little blog for myself just to be a friend the fun. Hopefully by next year I will be educated in the blogging world too! Gorgeous bundle! I always go back to the classic cartoons- Charlie Brown, The Grinch, etc.! My favourite Christmas movie ... National Lampoon's Christmas Vacation ... just for the idiotic humour in it. Thank you for your generosity. Love that thread, it is such a happy color. Need that today, we are expecting 1.5 feet of snow. Our first snow of the year, it is a doozy. My favourite one is "The family stone". I love cotton and steel and these look awesome. I love the grinch. Thank you for the chance to win. Die Hard. It's a classic and it's categorically a Christmas movie in my house. Thanks for the chance to win! There are so many great Christmas movies. But my favorite is the classic It's a Wonderful Life. Thanks for the generous giveaway. Thank you for your generous giveaway. My favorite Christmas movie is "When Angels Come To Town." Love the thread, I love Aurifil and use not only the 50 wt but also the 28 and 12 too. The fabric is really nice. Christmas Vacation! Never tire of watching that movie. I love to watch It's a Wonderful Life every year, at least one time. 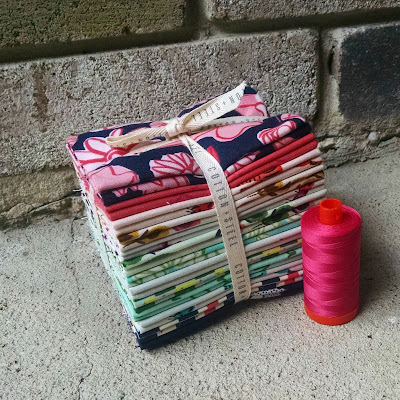 I love the fabric bundle, thanks for the chance to win. It's a Wonderful Life is my favorite too. Thank you for this wonderful giveaway! Hmmm... that's a hard on. I guess it's a toss up between It's a Wondeful Life and White Chistmas. :). Thank you for the giveaway! Hmm I'd say it's a toss up between It's a Wonderful Life and White Christmas. Thank you for the giveaway! Grinch who stole christmas, original version is my favorite. Love Dr Seuss. So pretty....Texas is my home state !! Gorgeous fabrics. Thanks for sharing. I love It;s a white Christmas. Beautiful fabric! Love actually is my favorite christmas movie. My favorite Christmas movie is Holiday Inn. There are so many but without fail I have to watch the original Grinch that Stole Christmas movie. The Year Without a Santa Claus has been my favorite since I was young. Scrooged. Thanks for the chance! A Christmas Story...all time fave. Thanks! I love watching The Polar Express during Christmas time. Love Actually. But parts of it always make me cry. It's a Wonderful Life. Thank you for the great give away! Christmas Vacation! Actually a tradition in my family...odd I know! Christmas Vacation is my favorite ! Thank you for the giveaway . I don't do christmas movies but my favourite film is back to the future! I like to watch the new ones that come out each year. The fabric is very nice. I love the thread! I love all the Christmas classics like Miracle on 34th Street. Favorite family movies are Elf and The Santa Clause. Thanks for the chance to win! Christmas Vacation is good for some laughs! It's a Wonderful Life! Happy holidays to you! We LOVE Eloise at Christmastime. It's become a tradition and even the older kids watch. I absolutely love "it's a wonderful life". My favorite Christmas movie is The Nativity Story. Holiday Inn is a good one! Awesome giveaway! Giveaway Day is such fun! I'm so glad I had posted on Facebook two years ago and it reminded me to check it out today - almost missed it! One of my favorite Christmas movies is Miracle on 34th Street. Elf! I love that movie and will watch it any time of the year! It's a Wonderful Life - still watch it every year. IT'S A WONDERFUL LIFE. Thank you for the lovely giveaway, happy holidays! I always loved Miracle on 34th Street but It's A Wonderful Life is good too. The Book Thief is not a Christmas movie but my daughter and I watch it every Christmas Eve. I love Elf!! What a beautiful bundle and thread! My favorite holiday movie use to be A Charlie Brown Christmas. I waited for that movie every year. I gave up my TV habit a few years ago so now I do not have a favorite holiday movie. Probably Elf. I always seem to watch it at least once a year. thanks! We can't get enough of Four Christmases. I think my husband and I can both quote that movie. Thank you so much for hosting this give away! The bundle is beautiful. Christmas in Connecticut is my favorite. Thanks. White Christmas cuz it's about close sisters. My two favorite Christmas movies are a tie: It's a Wonderful Life and the original version of Miracle on 34th Street. I really love to watch Elf because it always make me laugh. Such a funny and sweet story. I love Shrek the Halls! Thanks for the giveaway! It's so hard to pick just one, I'm a Christmas movie junkie! Tonight though, I'm going to go with Elf, because it's one that I watch over and over again. I still love Christmas Story. So many of the Hallmark movies are great. I'm binge watching. Thanks. It's a Wonderful Life. Thanks for the giveaway! I love Elf and the Ref! My favorite Christmas movie- The Christmas Carol and Love Actually. I like them all but Rudolph and Charlie Brown and White Christmas are the best. Home Alone 1 and 2, I watch it every year with my son still funny every time! I love Holiday Inn. Fred Astaire and Bing Crosby + great music. Many thanks for sharing with us! Holiday Inn. Love that bundle of fabric. Thanks for the opportunity. What gorgeous fabric. I always watch Love Actually whenever it's shown. Christmas is not the same if I haven't watched Rudolph the Red Nosed Reindeer and Charlie Brown Christmas. Watched them as a kid and still love them! My favourite Christmas movie is Love Actually- thanks for the chance to win! White Christmas! My favorite cookie baking movie! Nightmare before Xmas!! thanks for the giveaway! I love and watch "Love Actually" every year!!! My children and I love to watch "Polar Express" every year on Christmas Eve too. I love traditions and watching these two movies always makes me feel Christmassy. The classic It's a Wonderful Life is my favourite Christmas movie. Thanks! Sound of Music is wonderful to watch around the holidays. My favorite christmas movie of all time is Scrooge. Beautiful bundle of fabric and thank you for the giveaway. So many but that I really want to watch the Muppet Christmas Carol! I love watching Cameon Diaz in "The Holiday." So romantic! Thanks for your inspiring blog, and this generous giveaway! Rudolph the Red-Nosed Reindeer. Love the songs, & The Island of Misfit Toys. To me, it isn't Christmas until I watch 'It's a Wonderful Life'! Love, love it! Fabulous giveaway...thank you! What about Sew Daddy Sew?! I have several I must see each year - White Christmas, The Santa Clause, Home Alone, and A Christmas Story are just a few of the maybe 20 I have on DVD, LOL!! I like Elf, but I also like National Lampoon's Christmas Vacation. Grinch is great but the most quintessential is Charlie Brown Christmas!!!! The original Grinch who Stole Christmas. I like Elf because it's funny but then I cry at the end. I like the Charlie Brown Christmas Movie and Love Actually. What a very thoughtful gift. I love Cotton and Steel fabric. We get fabric and also thread. WOW! Thank you for being a part of the SMS Giveaway and giving us this opportunity to try our luck at winning this giveaway. Wishing you Happy Holidays! My favorite Christmas Movie is and will always be Home Alone. Greatest movie ever. Makes you laugh which is sometimes needed at this time of the year. The Elf is so funny!! I adore Cotton+Steel, fabulous company of ladies w/awesome fabric designes each. "Tinsel" is my all time Christmas fave fabric. Thank you. I think my favorite right now is the new Christmas Carol with Jim Carey, there are so many good ones to chose though! It's a Wonderful Life...no contest! I used to like White Christmas, but that's pretty old now. About a Boy is my new favorite! Thanks for the chance to get these beautiful fabrics and thread! I love Elf and How the Grinch Stole Christmas. Love Actually and White Christmas. Thank you. Wow! That is some gorgeous thread!! And the fabric too. It's a Wonderful Life and Elf are my favorite Christmas movies. I follow you via e-mail. Thank you for the chance at this giveaway! Miracle on 34th Street is always a winner in my book! my favorite Christmas movie is "polar express". Love Actually is my fave. Thanks for the Give-Away! I don't have a particular movie, but I love watching the Hallmark channel for their Christmas movies. What a marvelous bundle of fabrics you are offering to give away and that striking bright pink thread, I would have to use it to quilt a quilt for my Daughter. Thank you for this great give away opportunity! Have a fantastic creative day! I apologize, I did not click and read the "directions". 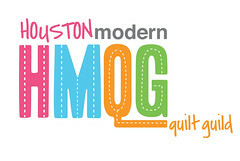 I should know better than that, being a quilter! Alright, my favorite Christmas movie is The Ten Commandments! Thank you again for the opportunity to win this awesome give away! I love 'A Christmas Story.' I watch it every year and I don't even celebrate the holiday. I love the movie Christmas Vacation! The fabric is lovely, thank you for your generous giveaway!! Merry Christmas! I just began following you too! HI,WE LOVE 'A Christmas Story'! THANK YOU FOR A GREAT GIVEAWAY! Marvelous giveaway. Thank you! Fav movie "A Christmas Story"
We love celebrate Christmas Eve! I would have to say my favorite would have to be the old Rudolph the Red-Nosed Reindeer. Favorite Christmas movie is Elf and Charlie Brown! Thanks! Elf is a fun movie! Thanks for a great giveaway. Miracle on 34th! It's such a classic. :) Thank you for a great giveaway! My favorite Christmas movie is the original Miracle on 34th Street. Christmas Vacation HANDS DOWN!!! LOVE it, not just the movie itself, but remembering my dad, now passed away, watching it every year with my husband, and laughing until tears rolled down his cheeks and he lost his breath! I should say "It's a Wonderful Life," but really.... it's "Elf." I have to say it is, "Elf". I love to laugh. The Grinch Who Stole Christmas!! We try to watch as many as we can fit in the week before Christmas. We always watch It's a Wonderful Life on Christmas Eve right before bed. favorite movie is "A Wonderful Life". It's a wonderful life is my favorite Christmas movie! Thanks for the chance to win that lovely bundle! My favorite Christmas movie is probably Frosty the Snowman. Or maybe Santa Claus is Coming to Town. Or is it A Charlie Brown Christmas. Basically anything that came on TV when I was growing up in the 70s & early 80s. What a wonderful group of fabrics. Thanks for the chance to win. My favorite Christmas movie is White Christmas. I love The Grinch.. either the old or new version:) A classic! My favorite is White Christmas, or The Year Without a Santa Claus. Thanks for the chance to win! I like How The Grinch Stole Christmas. Thanks for the great giveaway. Such a pretty prize! And I always enjoy the "Santa Clause" movies with Tim Allen. White Christmas! My daughter and I watch it together each year. This bundle is gorgeous! My favorite Christmas movie is White Christmas. Thanks!